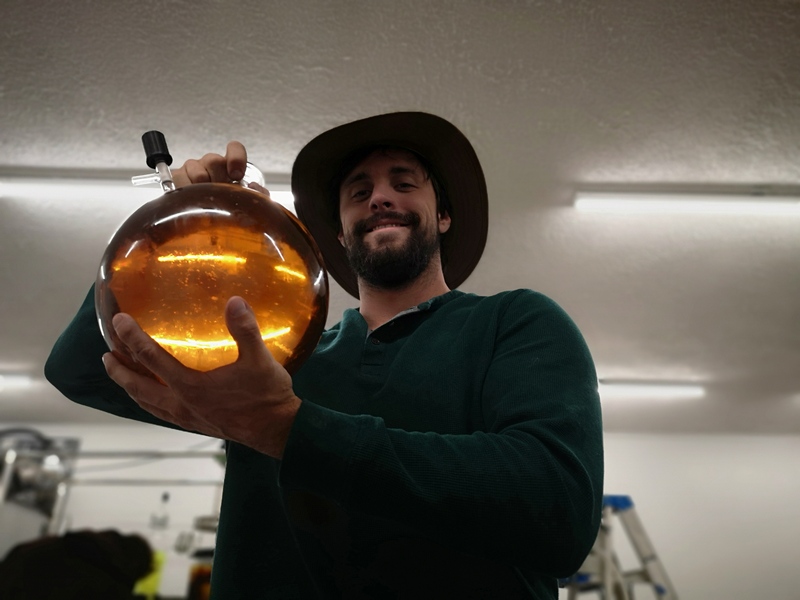 30 Liters of CBD distillate available in Colorado. $4000 per Liter for 1-9.9L. $3800 per Liter for 10 or more liters. what’s the thc% looking like? So only buyers in CO? Yes, we are producing this. I’ll send you an email. Very nice. Got an e mail I can hit you up on?? You can be from Antarctica as long as you pick it up here. Alternatively, we can diluted it below .3% THC and ship it. We can dilute with alcohol if you are making isolate or with a carrier oil of your choice if you are making tinctures or something along those lines. Depends on your definition of full spectrum. It has the full range of cannabinoids. Yet, like all pretty much all distillate, the terpenes have been boiled off. However, we capture them, so they can be added back at the purchaser’s request. Beautiful stuff guys, just got liter from him today. As clear as can be. Super nice guy. Couldn’t be happier! I’m new here, but would like to order a small sample (a few grams) that’s been diluted below .3% and shipped to SC. Is this possible? Do you have a COA I could see? @CBDfarmer I got your crude tested. About 60% CBD so your in house analytics were pretty close. Distillate came back clean from pesticides. I’ll definitely be buying from you again! UPDATE: We currently have about 75kg available. Prices will now be in kg for simplicity. 40kg available. Prices remain as above.